Tomb Raider 2 was designed to run in the Windows 95/98/Me operating systems. The CD version of the full game can be patched to run without any problems in newer versions of Windows (see below). "The Golden Mask" add-on consists of 5 levels. These are included on a second CD in the "Gold" edition of Tomb Raider 2, or they can be downloaded for free. 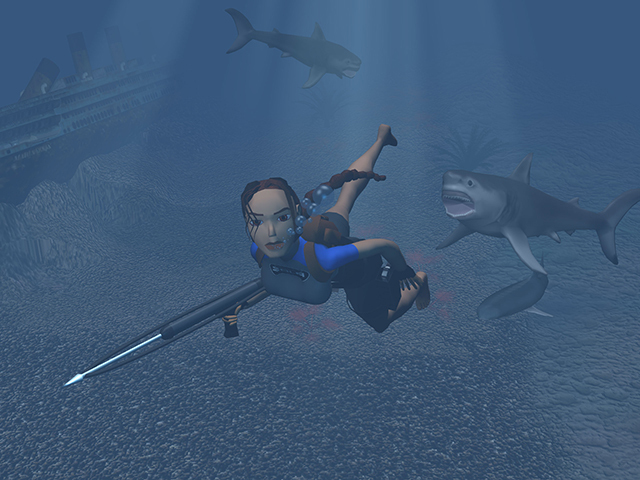 The single-level demos do not require the original Tomb Raider 2 CD to play, but the full 5-level expansion does. More information is included on the walkthrough page. Note that in order to install these first three programs on a system running Windows XP or later, you will need to set the compatibility mode on the installer programs for Windows 98/Me, as described here. Golden Mask Windows Vista/7/8/10 Demos (16 MB) - Includes the first 2 levels, The Cold War and Fool's Gold. These two links are to the tombraiderchronicles.com site. These downloads are labeled for Windows Vista but they should also work with Windows 7, 8, and 10. Each download includes a 'readme' file with instructions. Please be aware of a potential bug when using the Golden Mask download with the GOG or Steam TR2 game. Even if you find all the secrets, the game may not count all of them, meaning you will not automatically unlock the bonus level. You'll then need to download a save file to play it. A group of dedicated Mac raiders is working on a method for installing the Golden Mask expansion with the new Macintosh TR2 app for OS X. For progress reports, please see this page on my site and this page on MacRaider. 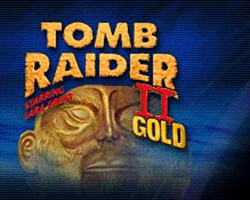 TR2 was designed to run under Windows 95 or 98. So it will need a little tweaking to run smoothly on a computer with a newer version of Windows. The best and easiest fix is to first install the game as usual. Then download and run the appropriate Tomb Raider Multi Patch for Windows XP/Vista/7/8/10. These are part of the excellent tech support section at tombraiderchronicles.com. To run Tomb Raider 2 on a widescreen monitor without distortion, see patches, below. TR2 was designed for standard (4:3) aspect ratio monitors and TVs. 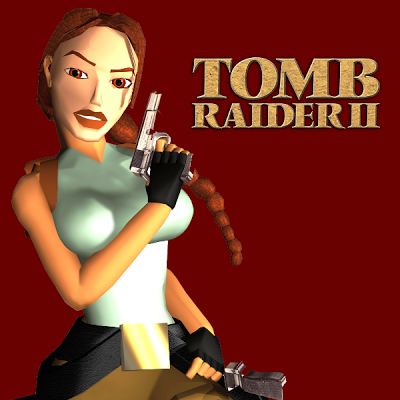 This unofficial patch allows you to run Tomb Raider 2, 3 and 4 in three different aspect ratios: 16:9, 16:10 or 5:4 without the usual distortion. It works on the CD installation, as well as the GOG and Steam games. 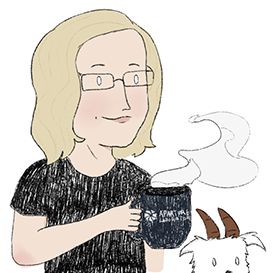 Visit Core-Design.com for the latest community-made updates for Tomb Raider 2. Alternatively, you can watch all the Tomb Raider 2 cinematics on my YouTube channel. Accidentally pressing the Windows (Start Menu) key probably won't crash the TR2 game, but it can be annoying, especially during complicated platforming sequences. Fortunately it can be easily prevented by downloading and using one of the following utilities. I have found both very helpful, but since neither is my creation, I am not responsible for them. So use and enjoy it at your own risk. Below are various official patches for the original CD version of TR2. If you are using one of the Tomb Raider Multi Patches for Windows XP/Vista/7/8/10 (described above) or have downloaded the GOG or Steam version of the game, you will not need any of these. Tomb Raider 2 savegame files are on a separate page.